This Step by step guide will guide you through each step necessary to slipstream a plain vanilla Windows 7 Enterprise with SP1 x64 iso with the newly released Convenience rollup update (April 2016). What is the Convenience rollup update? 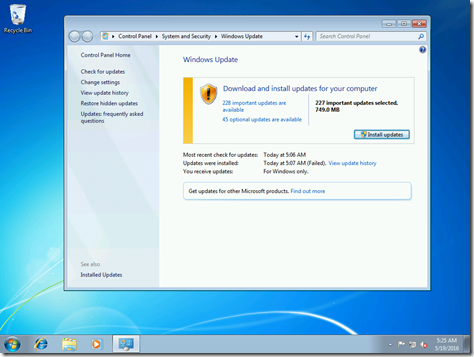 The KB3125574 Convenience rollup update is one KB that will include all security updates and non-security updates since the release of Windows 7 SP1. Not all updates are included, but all updates that are suitable for general distribution. By installing the update during a task sequence or by slipstreaming it into the iso it will make the image creation much faster. 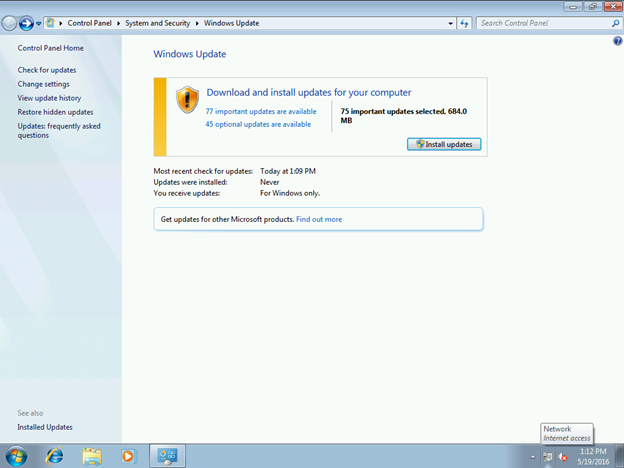 It needs to be manually added because its not distributed through Windows Update. 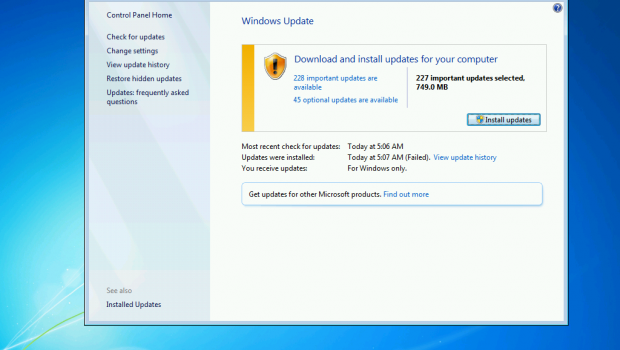 So if you try to install Windows 7 with the SP1 iso, you will still need to install all the 220+ updates.. I have also added addition hotfixes to this guide, one of them is the Enterprise hotfix rollup. It contains over 90 + hotfixes that are not distributed through Windows Update, I have also added some post hotfixes that I find useful from my own experience. 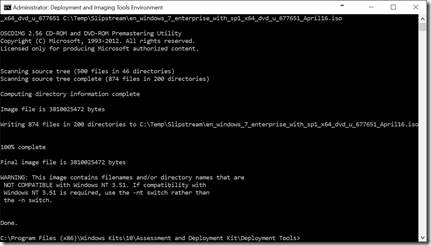 These hotfixes are optional for this guide..
Start Deployment and Imaging Tools Environment Note: Run as Administrator. Mount the iso Note: Mount the iso to the Mount folder. 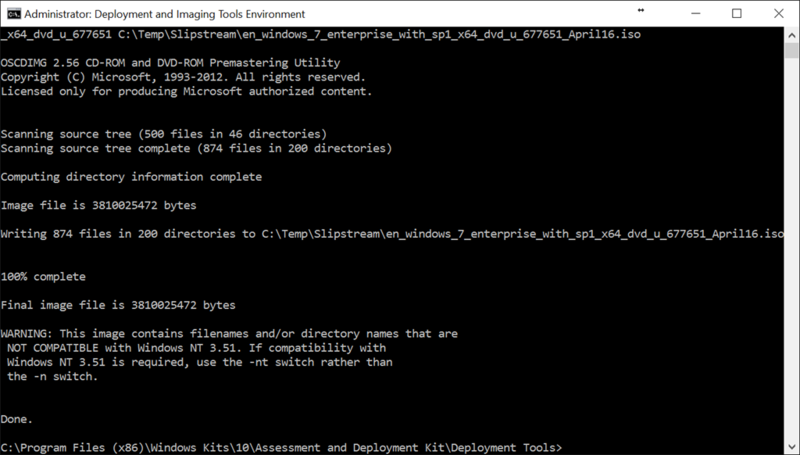 dism /image:"C:\Temp\Slipstream\Mount WIN7x64" /add-package /packagepath:"C:\Temp\Slipstream\Windows6.1-KB3020369-x64.msu"
dism /image:"C:\Temp\Slipstream\Mount WIN7x64" /add-package /packagepath:"C:\Temp\Slipstream\AMD64-all-windows6.1-kb3125574-v4-x64_2dafb1d203c8964239af3048b5dd4b1264cd93b9.msu"
dism /image:"C:\Temp\Slipstream\Mount WIN7x64" /add-package /packagepath:"C:\Temp\Slipstream\AMD64-all-windows6.1-kb2775511-v2-x64_ec18cc10e27faf443c17e7a8073c9eba773eb13e.msu"
dism /image:"C:\Temp\Slipstream\Mount WIN7x64" /add-package /packagepath:"C:\Temp\Slipstream\AMD64-all-windows6.1-kb2732673-v4-x64_801bb11beb007464927d0988992005f63899dab2.msu"
dism /image:"C:\Temp\Slipstream\Mount WIN7x64" /add-package /packagepath:"C:\Temp\Slipstream\AMD64-all-windows6.1-kb2728738-v3-x64_22e4457734ff8c995a3637f95ea7848de7956a0d.msu"
dism /image:"C:\Temp\Slipstream\Mount WIN7x64" /add-package /packagepath:"C:\Temp\Slipstream\AMD64-all-windows6.1-kb2878378-v2-x64_eb7f7ae83a8d77ba88b228e058fc9c152c211e7a.msu"
dism /image:"C:\Temp\Slipstream\Mount WIN7x64" /add-package /packagepath:"C:\Temp\Slipstream\Windows6.1-KB2852386-x64.msu"
dism /image:"C:\Temp\Slipstream\Mount WIN7x64" /add-package /packagepath:"C:\Temp\Slipstream\Windows6.1-KB2614066-x64.msu"
dism /image:"C:\Temp\Slipstream\Mount WIN7x64" /add-package /packagepath:"C:\Temp\Slipstream\Windows6.1-KB2522623-x64.msu"
Create Bootable Iso Note: Creates a bootable iso of the slipstreamed source. You now have a fully slipstreamed Windows 7 Enterprise x64 iso with updates include until April 2016 + additional important hotfixes. You can use it standalone or with deployment solutions like MDT and ConfigMgr. You do not need to add these hotfixes as steps to the deployment solution. So not all updates are included, but it will decrease the deployment time for a build and capture.